Lyme disease can completely change one’s personality. Many people think; “what’s the big deal with Lyme?” but the people who go through it and their caregivers know the truth. The fact is Lyme disease has so many different types of debilitating and incapacitating symptoms that it can wreck one’s life. Many of these symptoms present themselves chronically and can completely change the sufferer. In many cases, the disease goes undiagnosed for years to come. Also, once you have Lyme, you will always have it. Therefore, it is not unsurprising to know that the disease goes into remission but pops up when one least expects it. In today’s article, we will talk about the emotional and psychological aspects of Lyme disease. How does Lyme Disease cause personality changes? Many tick borne diseases can lead to mood changes, according to Insights Into Lyme Disease Treatment: 13 Lyme-Literate Health Care By Connie Strasheim. Often patients ignore these changes. But the author actually urges patients to see a psychiatrist who is familiar with Lyme disease. Many people experience rage owing to constant joint aches, headaches and fatigue. Some even have to quit their jobs which aggravates these mood changes. Lyme rage symptoms are very difficult to manage for caregivers. Is Lyme rage real? Yes, it is. Several Lyme disease patients are severely depressed due to loss of jobs, continuous aches and pains, and sometimes owing to the fact that their disease goes undiagnosed for long periods of time. This leads to anger and depression. Brain fog, memory issues, confusion, inability to focus or concentrate for long periods of time, attention deficit disorders are some other Lyme disease mental symptoms. However, with help one can definitely overcome Lyme disease mental breakdown. Long term chronic infection takes a toll on the mitochondria of the cells which are the powerhouse of cell nutrition. Many Lyme disease patients avoid exercise as they have joint aches and pains. However, moderate exercise can actually relieve pain, improve sleep and also enhance endurance. As the body gets stronger, and energy increases, patients can actually overcome many of the advanced neurological Lyme disease symptoms. Lyme spirochete can cause chronic inflammation of the eyes and mucosa tissues. Chronic conjunctivitis or pink eye is also common. Many tick borne disease sufferers also undergo hormonal imbalance issues since these pathogens can actually affect the hypothalamic, pituitary and end organ feedback symptoms. So, it is a good idea to seek help from an endocrinologist to treat these hormonal issues. When we are healthy, we often take for granted processes like urination and sweating etc. But chronic Lyme disease can also impact these systems causing a heavy buildup of toxins in the sweat glands, lymph nodes, colon and kidneys. 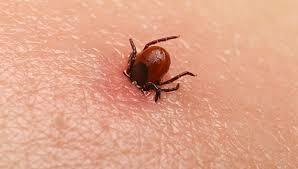 Tick borne pathogens also release endotoxins into the blood which then bind with healthy fat cells. Overtime, these toxins lead to brain fog, dullness, cloudiness and impaired brain function. All these contribute to changes in personality of the Lyme disease victims. Many Lyme disease experts such as Karen Vanderhoof-Forschner (Author of Everything You Need to Know About Lyme Disease and Other Tick-Borne Disorders) talk about cases with advanced neurological symptoms. These include anxiety and panic attacks, hallucinations, violence, verbal aggressiveness, inappropriate behavior, manic behavior, psychosis, dementia, suicidal thoughts catatonia with stupor etc. As can be seen, Lyme disease can and does change the patient’s personality. Now let us study a few neurological Lyme disease cure options. Talk therapy and psychiatric counseling can be very effective. Choose a psychiatrist with knowledge about Lyme disease. Certain psychotropic drugs can also help. We have discussed the dietary changes for Lyme disease patients in detail in this guide. Lyme disease always stays in you. It just goes into remission from time to time. That is what makes antibiotics so crucial. Antibiotics help prevent chronic symptoms. However, you need to take breaks from time to time from them. Seek help of an experienced doctor and discuss your concerns. Rife machine therapy can be used between drugs. Some patients have seen great deal of success with bee venom therapy. It is especially beneficial for arthritis and joint aches. Do evaluate the risks involved with this treatment with a specialist. Patients and doctors often overlook Lyme disease bipolar disorder and other psychological and mental symptoms. However, they are very much real and should not be overlooked. Protect yourself and your family from ticks and seek help of an expert Lyme disease specialist to improve your quality of life.